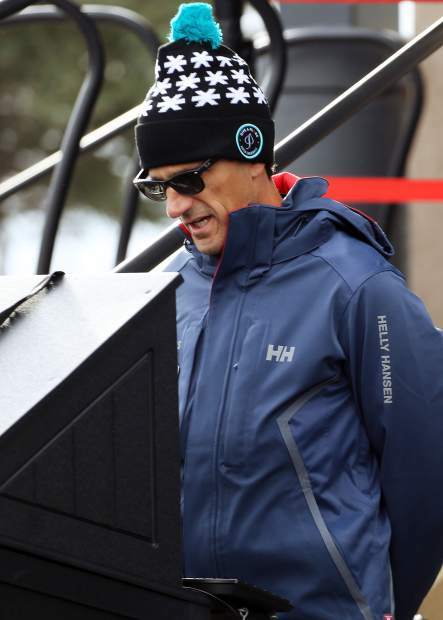 Aspen Skiing Co. president and CEO Mike Kaplan keeps an eye on things during Aspen Mountain's opening day on Saturday, Nov. 17, 2018. 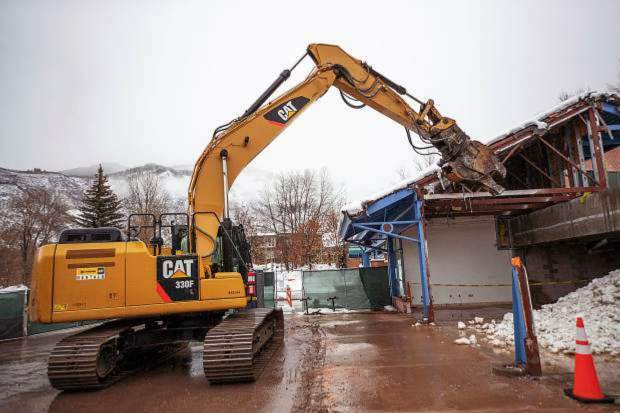 (Photo by Austin Colbert/The Aspen Times). 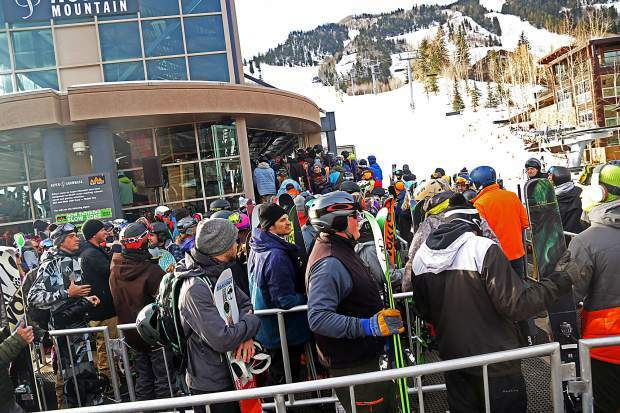 People wait in line to be among the first up Aspen Mountain for opening day on Saturday, Nov. 17, 2018. (Photo by Austin Colbert/The Aspen Times). The lifts are officially turning on Aspen Mountain as opening day came early on Saturday, Nov. 17, 2018. (Photo by Austin Colbert/The Aspen Times). 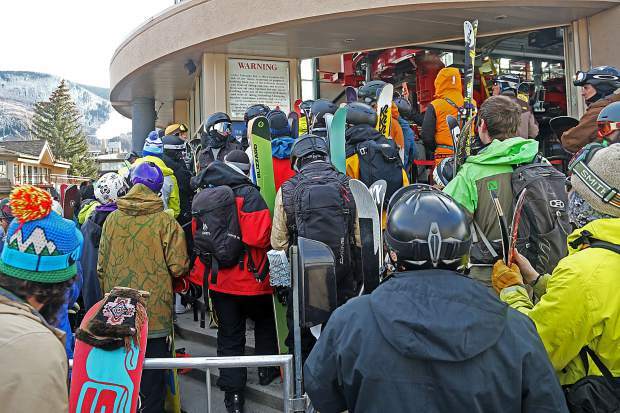 Saturday's opening day crowds at Aspen Mountain were welcomed by blue skies in the morning. 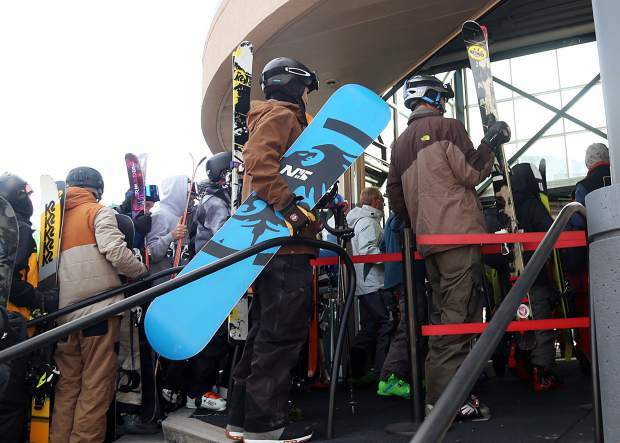 Skiers board the Silver Queen Gondola for Aspen Mountain opening day on Saturday, Nov. 17, 2018. (Photo by Austin Colbert/The Aspen Times). J.T. Welden, the new mountain manager for Aspen Mountain, chats on opening day Saturday, Nov. 17, 2018, near the Silver Queen Gondola. 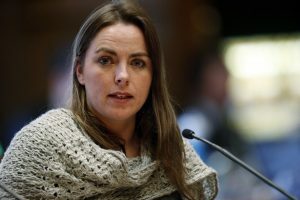 (Photo by Austin Colbert/The Aspen Times). 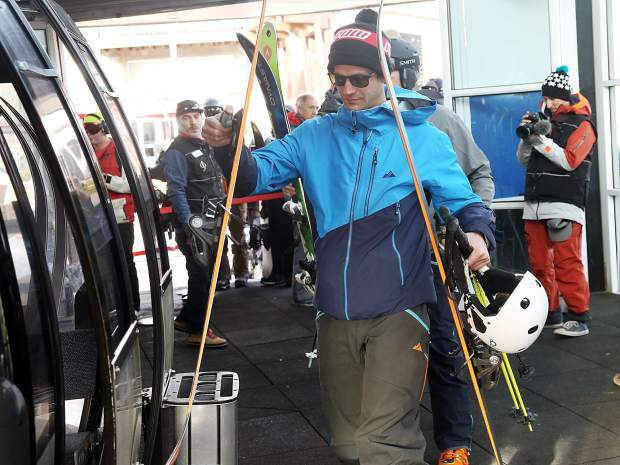 How good was Saturday’s opening day on Aspen Mountain? Well, Aspen Skiing Co. president and CEO Mike Kaplan pretty much summed it up in one word. 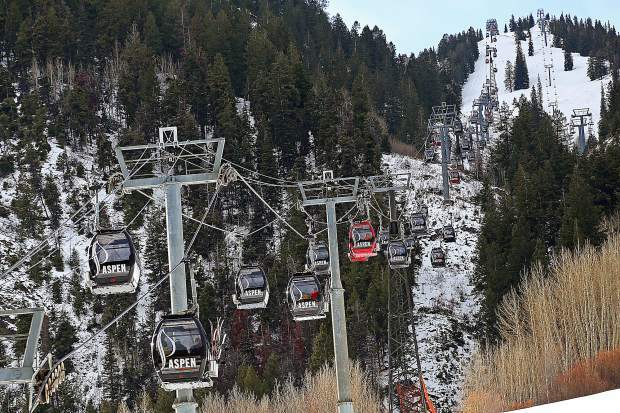 Aspen Mountain had originally been scheduled to open Thanksgiving Day, as it does each year, but a surprisingly snowy preseason combined with cold temperatures ideal for snowmaking allowed for plenty of turns to be made Saturday, five days earlier than planned. The mountain’s early opening was probably enough of a good thing. But a bonus 50 acres of skiable terrain was a welcome addition. 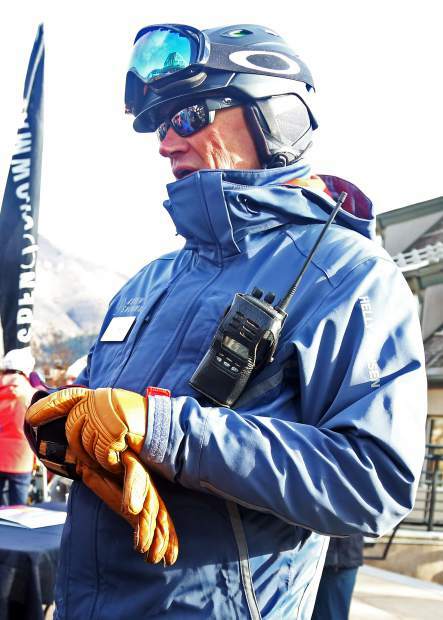 Welden, a native of Connecticut who is going into his 29th winter in Aspen, worked his way up from lift operator to ski patrol to most recently the director of operations in Snowmass before taking over management of Aspen Mountain in the spring. He replaced longtime Skico employee Peter King, who retired. 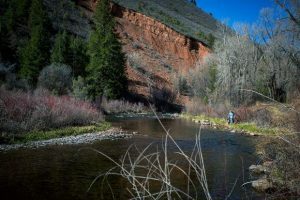 When the early opening was officially announced Tuesday, 130 acres was promised with all 3,200 vertical feet available. 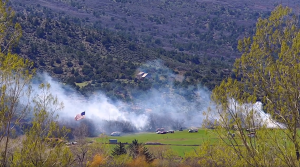 When the ropes were dropped Saturday morning, 180 acres was available with the Nell, Bell and Ajax Express chairlifts all running, along with the gondola. The conditions up top? Good enough for an Olympic skier. Beginning Monday, Welden said they will shut down the Bell and Nell lifts and open the Gents Ridge lift for the season. After that, snowmaking won’t be of much help and natural snow will need to fall for more terrain to be open. The good news it that snow is in the forecast for later in the week. 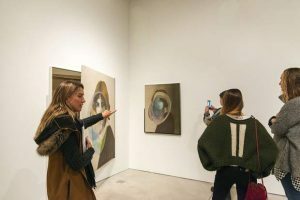 “We’ll probably be able to get odds and ends here and there. Maybe some little flash openings on some of the natural for a quick couple of hours for powder skiing and riding,” Welden said of continued terrain opening over the coming days. 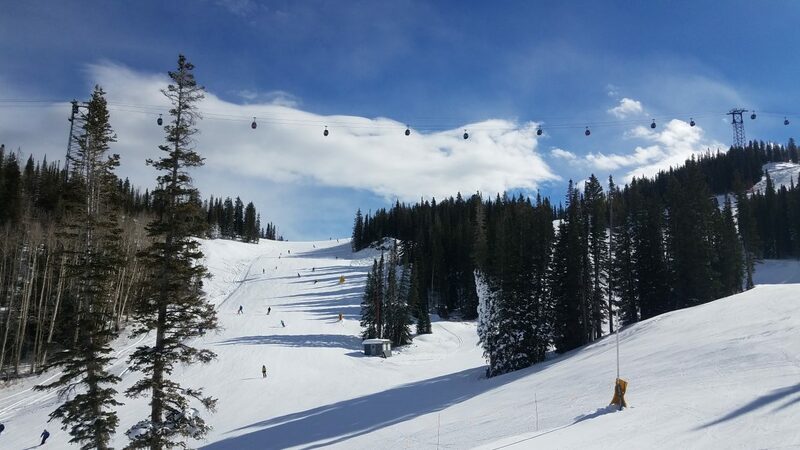 Only two seasons ago, opening day was pushed back from Thursday to Sunday due to poor snow conditions, and even then only the Little Nell chairlift was operational. 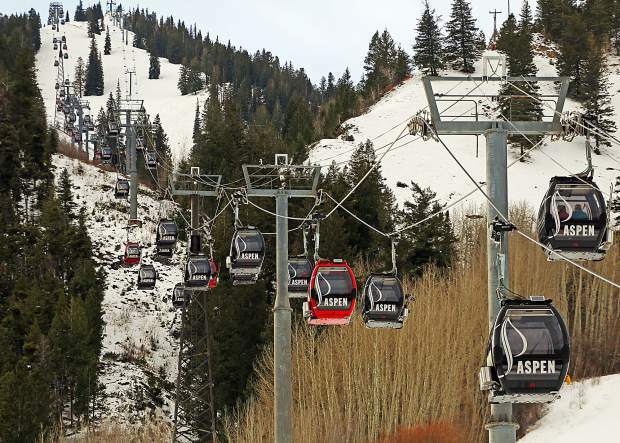 Last winter, snowmaking helped get the mountain open on time, but the terrain was limited to a mere 100 acres, the start of an overall drab winter in Aspen. This winter’s early-season snowfall has just about everyone feeling optimistic about the coming months.